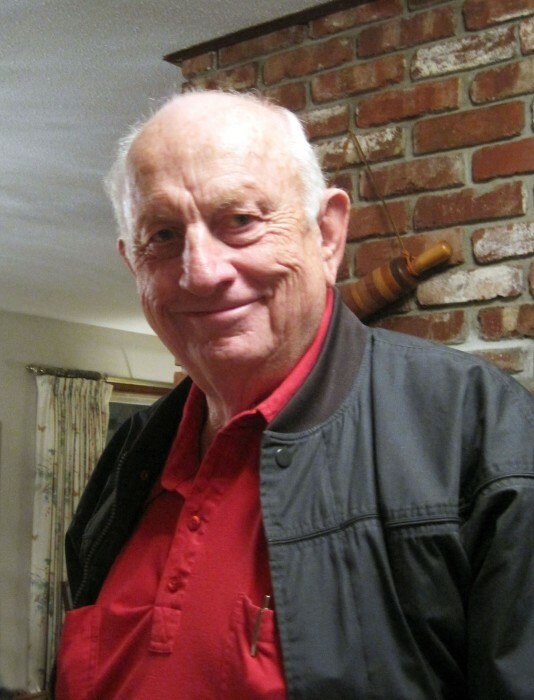 Bernard “Sparky” Carver age 84 of Jefferson City passed away April 7, 2019 at his home surrounded by family. He was born October 26, 1934 in Topeka, KS to the late Charles Carver and Lois Hiller Carver. His father died at an early age leaving his mother with six children. Her character was strong and she raised a marvelous family with great values. He attended school in Topeka, KS. He was an Army veteran. He always considered his Army stent as a good one. He used his experience as a mimeo repairman to get a position that was good duty doing about the same thing. He spent two years in the Panama Canal. When he returned from service, he assumed the same job that he had left two years before. On November 8, 1986 he was united in marriage to Karolyn Davenport in Jefferson City. He had been a bachelor for 52 years. Never the proclaimed bachelor, he always said, “I’d rather be married than not, but I’d rather not be married than have a bad marriage.” He and Karolyn celebrated 32 years, and they were good years for the both of them. He was self-employed owning Sparky’s Quick Print and Duplicating Machines for 25 years. He retired the last day of 1999. Prior to that he worked for Crane and Co., Tempo and others in the Topeka/Kansas City area. His prior bosses thought a lot of him, and he maintained ties with them through the years. He was a charter member of Capital West Christian Church. When he was still able, he would help keep up the property and vehicles. Rarely did he miss if he were able. Even though the ministers felt like he was sleeping through the service. But they would find that if they had a hiccup during the sermon—he would tell them about it. He enjoyed traveling especially with his sister, Wilma and brother in law, Erich. There were many trips and many states that were traveled together through the years. He also enjoyed NASCAR races. He had attended many of the races such as Daytona, Talladaga, Bristol, Charlotte, Indy, Martinsvillle, Kansas City and others. He also loved Sprint car racing. He owned a winged sprint car for three years. Those three years were so very memorable for him. He was the chief mechanic on the car as well as the owner. He tried to have it ready for each race. Most of the time the driver was Russell Hibbard. They made a great pair. He was very good about figuring things out. He could almost always find a solution to a mechanical problem. After retirement, he did some lawnmower repairs for others. He was also good at analogies—taking something so improbable and making it fit the situation. In addition to his spouse, he is survived by two step-daughters, Judy Mantle and Jennifer Mantle. He also leaves many nieces and nephews, grand nieces and nephews and great grand nieces and nephews. He will be missed by all. He was preceded in death by his parents, three brothers, Edgar Carver, Mervin Carver and Richard Carver and two sisters, Wilma Naethe and Rosella Carver. Visitation will be held from 4:00 p.m. to 7:00 p.m. on Friday, April 12, 2019, at Capital West Christian Church in Jefferson City. Funeral Services will be held at 10:00 a.m. on Saturday, April 13, 2019, at Capital West Christian Church in Jefferson City. Interment will follow in the Fairview Cemetery near Linn. In lieu of flowers, expressions of sympathy may be made to Capital West Christian Church in Jefferson City. © 2019 Morton Chapel. All Rights Reserved.